Rangers are characters optimized for speedy long range attacks using a double pistol. Low DEF and difficult skill control, suitable for intermediate and advanced players. - Total DEX and STA: Keep it around 80%~60% DEX and 20%~40% STA. - ATK: as high as possible (DEX+, ATK+). - Evasion: Getting this to at least 50% will also help dodge some attacks (Evasion+%, DEX+), the more the better. Rangers doesn't have damage immune bonuses while using skills, so you really need this to survive. - CRIT RATE: just aim for at least 40% for now (CRIT RATE+%, DEX+). 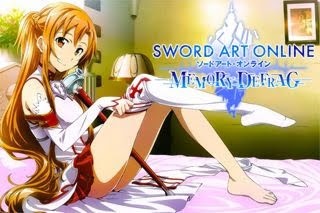 - DEF: Collect and upgrade your gears to get the DEF bonuses, if you need more, get some (Stamina+, DEF+). Aim for 700+ or 800+ for Chapter 8 and 9 Normal. - Accuracy: Just use the bonus from DEX and STA. - Evasion: Just cap it around 120%+ first, then 200%+ at Lvl 50+ (Evasion+%, DEX+). Increase at later Lvls if you need more. - CRIT RATE: just cap it around 120% first (CRIT RATE+%, DEX+). Optional: Increase if you need more chances around Lvl 50+, but do not exceed far from 200%. 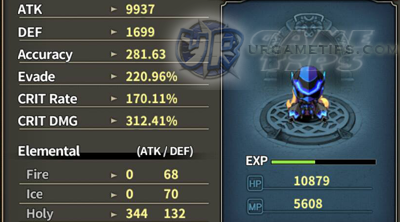 - CRIT DMG: as high as possible, aim for 100%+ around Lvl 40, then 200%+ around Lvl 50, and 300%+ around Lvl 60. (CRIT DMG+%). It is also ok to cap this one to 200%+ if you want, to focus more on other stats. - Accuracy: Just use the bonus from DEX and STA. If you are a PVP enthusiast, 250+ is ok, unless the meta changes and everyone drops their Evasion. - MP: Leave it for now, or just get the bonus MP+ from Necklace upgrade bonus or Seals. - DEF: Just upgrade your gears to get the DEF bonuses, if you need more survivability, get some (Stamina+, DEF+). Do not overdo it though, just enough to survive the pre-boss stages and for auto farming. - Main Skills: Spinning Fusillade, Powered Ballistics and Burst Beam. - Chapter 4 Normal (White Turrets): To easily beat them, stand on their blind spot (example: upper right or left area), move closer until you can hit them with normal attacks without getting hits. - Main Skills: Powered Ballistics, Burst Beam, and Bullet Rain. 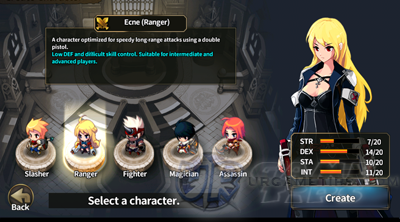 - Other Skills are still useful for Dungeons, Monster Wave, Raid or PVP, add any skill/s you like according to the situation. - Bullet Rain: Boss killer, try to fire this one as close as possible to let the boss take all the bullets. One way is to trigger their attack animation, then quickly dash to their side or back then cast. Experiment new ways depending on the boss, and as you gain more gameplay experience. - Best used while Powered Ballistics is active. - Basic Combo: Powered Ballistics + Bullet Rain > Burst Beam = Can instantly kill Bosses! - Main Skills: Powered Ballistics, Burst Beam, Bullet Rain, and Concentration. - Basic Combo: Powered Ballistics + Concentration = Powerful Regular Attacks! - Passive Master = MAX Lvl 15 (increases the base bonus stat of all passive skills, a nice skill at higher levels.) Reserve or put Skill Points here, and wait until it is fixed. Passive Master is NOT working at the moment, stats doesn't increase at certain Lvls after Lvl 1. - Wind Walker: The true calculation is +EVA% per 100 DEX, so better ignore this unless they change it. Example: If you have 400 DEX and Lvl 10 Wind Walker (+40%), you will get (400/100)*.40 = +1.60 EVA only! - Eagle Eye: The bonuses from DEX and gears is enough, no need to get this, but if you really want it, then it's your choice. - Playing any Glass Cannon Types will require you to learn how to do hit and runs, and to use attacks, skills, or dodge after triggering the attack animations of monsters. So far the popular choice is Destroyer Set (glass cannon) or Duelist Set (if you need survivability). - Upgrade your weapons to higher Lvl and Grades, start aiming for SS weapons once you reach the Hashina Set at Lvl 30+. Weapons can be set or no-set depends on the availability of in-game items. - Hashina Set = Upgrade to Grade SS, use until Lvl 49. Start aiming for gears with [+1 Gem Slot]. For Rangers, I highly suggest that you aim for GREEN and RED Gem Slots, because they already have high Accuracy+ from DEX. 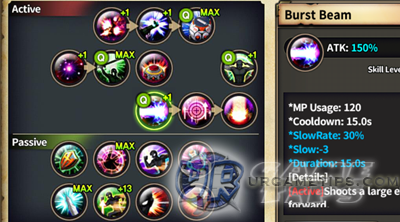 - Ancient Dragon Set = for Lvl 49+: Grade S or SS, use for 5 or 10+ levels. - Dragoon Commander Set = for Lvl 54+: Grade S or SS, use for 5 or more levels. - and so on for other sets as needed. - Note that this is not the only way, just a suggestion.